The screen shot above depicts a service record example for DNS-O-Matic. Most of the fields in this dialog are self explanatory, but some fields require brief explanations. Hostname: To update all records, enter "all.dnsomatic.com", otherwise only record(s) with the specified hostname are updated. 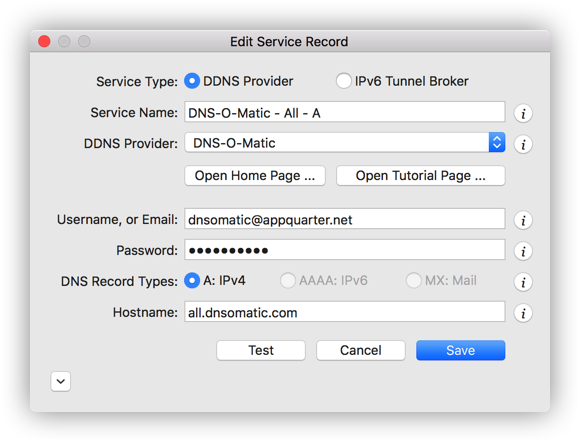 DNS Record Types: DNS-O-Matic supports dynamic DNS records of type A.